-Led Zeppelin, "Stairway to Heaven"
Beltane was one of the pre-Christian Quartering Days along with Lughnasadh, Samhain and Imbolc. 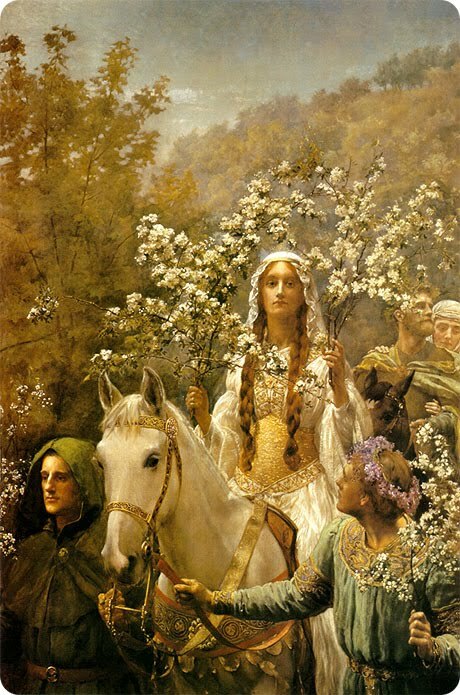 Unlike the other three celebrations, Beltane wasn't turned into a Christian festival. * However, the beginning of May remained a festival day, shedding its pagan past but retaining the more secular celebration of the end of cold, dreary weather and the coming of summer. I might not have a maypole to dance around, but I'm (flower) crowning myself an unofficial May Queen and having a nice scone to top it off. 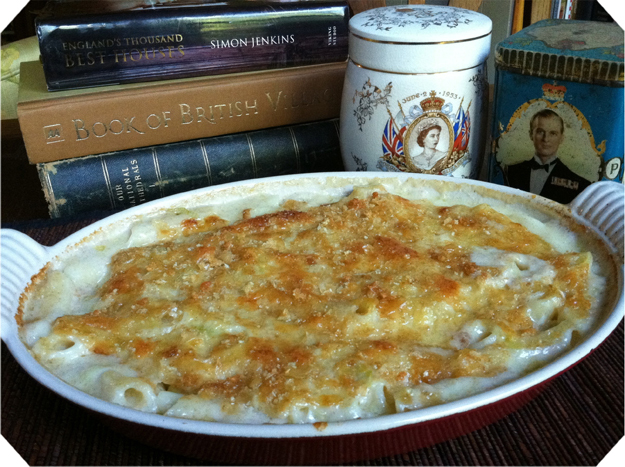 Leeks make a nice addition and help make macaroni cheese a little more of a spring dish. Use any short pasta you like--I actually used penne, because that's what was available in the bulk section. Really, how could you resist? 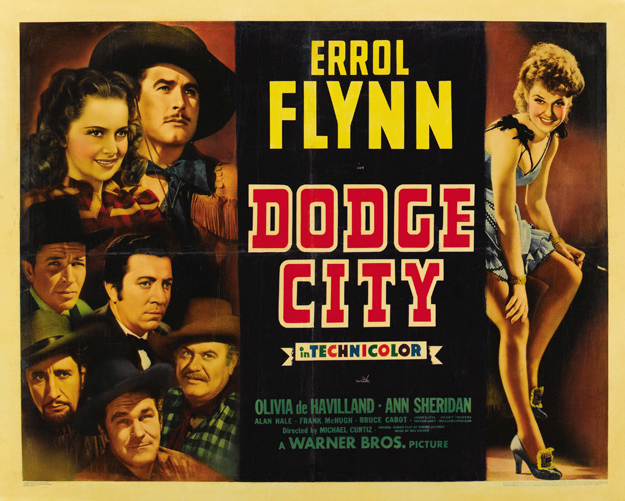 Dodge City is one of those movies that's so charming and likeable that I forget how ridiculous it really is. 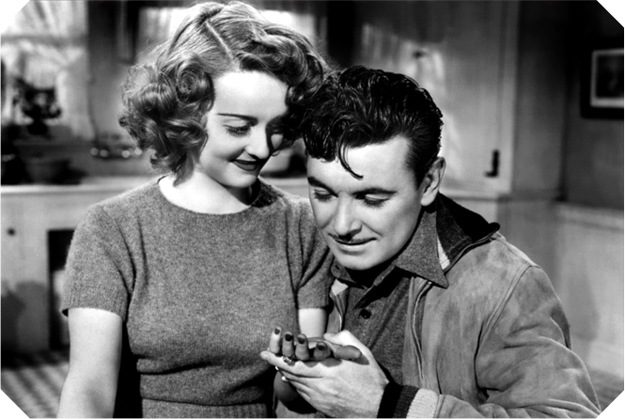 It may not be the best film of 1939, but it's certainly one of the most fun. While delivering cattle and a wagon train of settlers to Dodge City, improbably handsome cowboy Wade Hatton (Errol Flynn) stands up to saloon-owner and all-around baddie Jeff Surrett (Bruce Cabot). The impressed townspeople want Hatton for sheriff. So, Wade and his buddies (Alan Hale and Guinn "Big Boy" Williams) stick around to clean up the town. Keep in mind that this is the film that helps establish all those Western-genre clichés. Since cauliflowers are in season for another week or so, this is a perfect way to serve them in early spring, when the afternoons are warm and sunny but the evenings still have a bit of a nip to them. The cauliflower and the cheddar are hearty and warming while the crème fraîche adds tang and the scallions bring a bright, green, springtime taste. If you've only had cauliflower on a crudité platter, I urge you to try this recipe. I loathe raw cauliflower, but Crème fraîche Cauliflower Cheese is heaven. 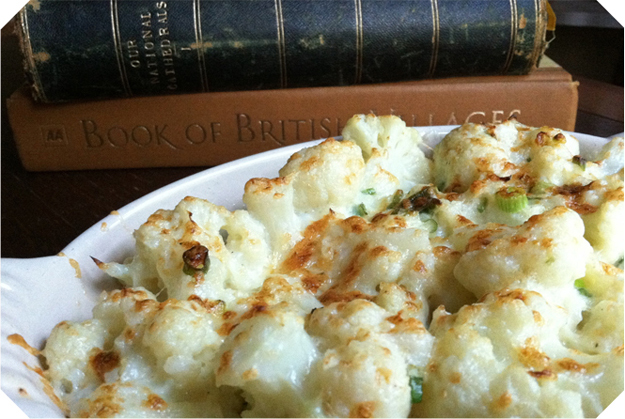 Chicken and Parsley Pie is the perfect accompaniment to the five-hour extravaganza that is Pride and Prejudice. Both are scrumptious and oh-so-English. 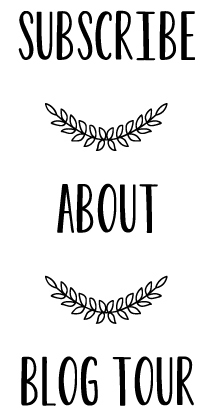 I can't believe it's taken me this long to blog about what is one of my absolute favorite movies ever, even though it's really a miniseries. In fact, I think it's better than the book. (Sorry, Jane!) 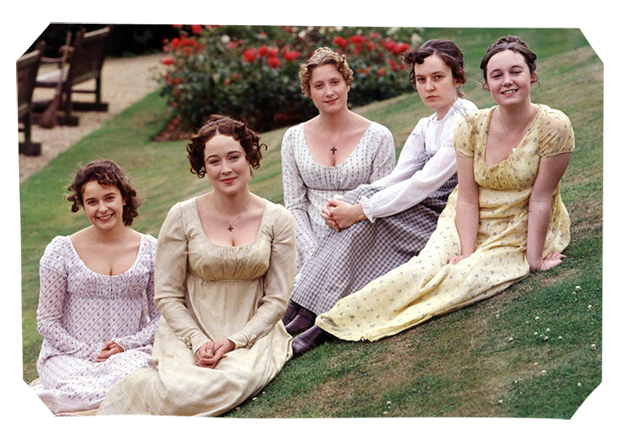 I first discovered Pride and Prejudice a couple of years after it aired. 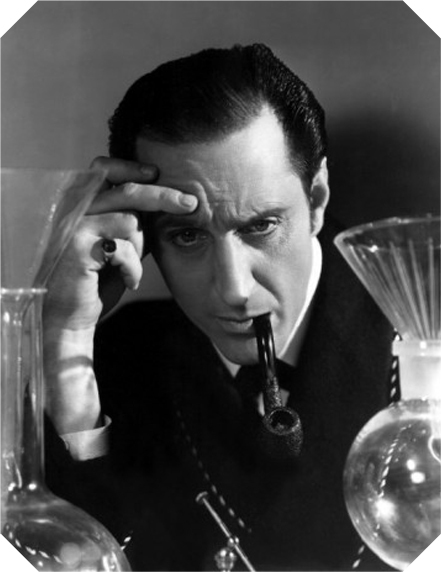 I was in middle school, I didn't have many friends anyway, so seclusion and five hours of Britishness seemed like a good plan for the weekend. I've watched it at least once a year since then and I've owned it on VHS (six of them!) and DVD (only two). 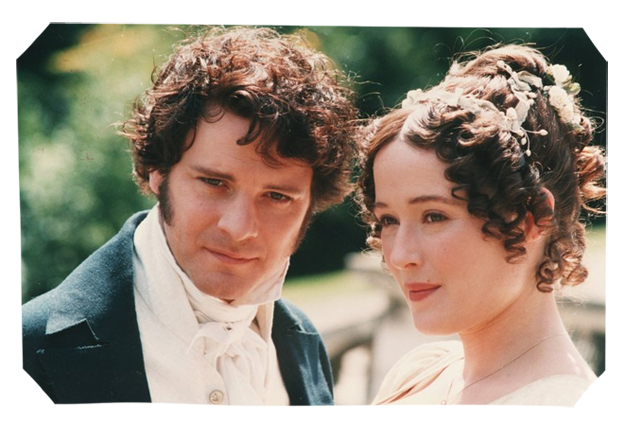 That means I've seen Pride and Prejudice at least a dozen times and it never gets old. Can you believe it's April already? Doesn't seem possible! I keep thinking that it can't be spring since we never had our blizzards. Among the weeds in my kitchen garden, I found a couple sprigs of parsley. It never got cold enough to kill them off! As unpleasant as winter can be, it seems wrong to skip it entirely.